Debate over the most influential band from the 1960s will generally include names like the Beatles, the Rolling Stones, and Led Zeppelin, but a lesser-known act from one of music’s greatest eras, the Turtles, may have just changed all of that. 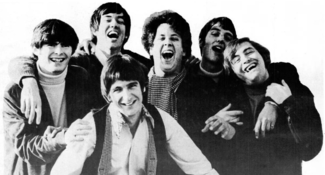 Flo & Eddie Inc., a corporation owned by the two founding members of the Turtles, just prevailed in a lawsuit against SiriusXM sure to rock the music industry and, perhaps, take a lot of music out of circulation. The Turtles, while not as big as the Beatles, did have some hits that many will recognize, including “Happy Together,” which have been played frequently on SiriusXM, broadcast radio, and other sources for music-listening. Because federal copyright laws apply only to recordings “fixed” starting in 1972, the Turtles are not protected or entitled to royalties under these laws. Last week, however, United States District Court Judge Philip Gutierrez granted summary judgment in favor of Flo & Eddie, holding that pre-1972 recordings may be protected under state copyright laws and are protected by California copyright law. The suit against SiriusXM is similar to one recently filed against Pandora in New York state court. The SiriusXM and Pandora suits involve a challenge encountered in integrating the music industry’s royalty system: millions of people listening to music using media that did not exist even 15 to 20 years ago, let alone in 1972. Yet, when copyrighted songs are played on SiriusXM radio, Pandora, or streaming webcasts, the holders of the copyrights are still entitled to royalties. Many companies that broadcast or provide access to digital recordings, including SiriusXM and Pandora, use a company called SoundExchange to track usage, collect digital royalties, and distribute them to copyright holders. Problem solved, right? Unfortunately, there’s a catch. SoundExchange may not track usage of material recorded or “fixed” before 1972, meaning that it would not collect or distribute royalties on such recordings. Assuming that the SiriusXM ruling stands and that other state courts follow its lead, those who want to provide access to pre-1972 recordings online or via satellite radio will have to find a way to efficiently track usage for the purposes of calculating royalty payments. And, of course, they will have to pay royalties to artists whom they were not previously paying. These expenses, in turn, will likely mean greater cost, more commercials, or even loss of access to certain works. The issue in both the SiriusXM and Pandora cases is a loophole of sorts in federal copyright law. On February 15, 1972, Congress brought sound recordings under federal copyright law. Prior to 1972, however, musical recordings were protected only be state copyright laws, many of which are based in common law, court-made rules that are not codified in statutes and, at least in many instances, do not require registration in order to protect recorded material. The suit against Pandora is based on New York common law. Works that are copyright protected by state common law are harder to track than those protected by a registered federal copyright. The artists and record companies in both suits have contended that they have not been paid for usage of their pre-1972 recordings. Pandora, at least, appears to tacitly acknowledge as much. According to the complaint against the company, Pandora told the SEC that if it were required to obtain licenses for the reproduction and public performance of pre-1972 sound recordings, the expense of compliance may be so prohibitive that Pandora would simply remove all pre-1972 recordings from its service. We have yet to hear the final word in either the SiriusXM or Pandora cases. Barring an out-of-court settlement, SiriusXM will almost certainly appeal the trial court’s ruling to the Ninth Circuit Court of Appeals. Given the substantial financial interests at stake, even a trip to the Supreme Court is not out of the question. These cases could end up significantly diminishing both services and adding cost to consumers, or they could make it easier for new media companies such as Pandora and SiriusXM to climb the charts, while leaving artists like the Turtles continue to receive no royalties for use of their performances.